Pets, this is one of your companion in game, while doing some level, Pets are very helpful, specially with there skills. In order for you to use your pet, you can right click your pet, outside the campus, in order for you to open the PeT information, just click L.
here is the screenshot of Pet Information Tab. Pet Type A- “Siberian Husky” this is the first type of pet in ran, if your a doggy lover, well you must have this one. 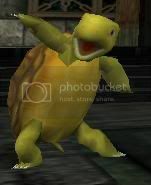 Pet Type B- “Turtle” this is the second type of pet in ran, well if you want a cute tiny shell while doing some level, you got to have this one. Pet Type C- “White Tiger” this is the third type of pet in ran, if you want a cute tiny white tiger at your side you got to choose this one. Pet Tped D- “Ranny Bear” this is the fourth type of pet in ran, it is not yet release in the item shop although, if your lucky enough, you can have this cute tiny bear, if you validate your moblie phone. Pet Skill HP+MP+Sp Recovery – a very helpful skill InGame, because when activated it increases your Character`s HP, MP and SP recovery rate. Pet Skill Attack Support – increase user’s attack power. Pet Skill Auto-Loot Medicine- Automatically picks up Medicine. 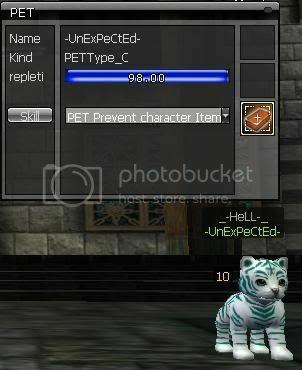 Pet SKill Auto-Loot Rare Items- your pet Automatically picks up Rare Items. Pet Skill Book Defense Support- when activated, it automatically increase user`s defense. Pet Skill Auto-Loot Gold- when activated, it automatically loot abandoned gold coins from the ground. Pet Skill HP Recovery- when activated, it increases your characters HP Recovery. Pet Skill Prevent Character Item- it prevents dropping your valuable item like armors and weapons when activated. CAUTION: the Pet Skill Prevent Character (Drop) Item will work best if your bright points are not in the negative; the bigger your negative points, the bigger the chance of dropping your item even if you have activated the pet skill and is within range. Pet Food there are three types of Pet Food in RAN, you can purchase per piece http://i282.photobucket.com/albums/kk258/shernan_kaos/PetFood100.jpg) , or per bundle http://i282.photobucket.com/albums/kk258/shernan_kaos/bundle.jpg) (consist of 5 pcs. of pet feed) thru item shop, or try to look around in the market. However this is one of the neccessity of having a pet, cause if your pet percentage reaches 0, it means you need to feed your pet, other than that you cant use your pet. Advanced Feed (100%) – Use this Item to recover 100% of your Pet`s Health. Advanced Feed (50%) – use this Item to recover 50% of your Pet`s Health. Advanced Feed (20%) – use this Item to recover 20% of your Pet’s Health. Pet Name Card- Pet Name changes the Name of your pet, i think approximately 12 characters is allowed. Pet Costumes- there are several clothes applicable to your pet, you can check the item shop for the desired costume that’ll suit your taste for your pet. Q>if you dont feed your pet, is it gonna die? A> No, cause pets are permanent, however in order for you to access your pet again, you need to feed your pet, if your pet’s health reaches 0%. Q>can i share my pet with another character? A>No, Because, pets are non-tradeable, if you open it from the box. Q>Can i have plenty of pets in one character? A>Yes, You can, but heres a thing, as much as possible, try not to consist a lot of slot with your pet in your inventory, coz it’ll occupy one slot of your inventory per pet. Q>How am i gonna feed my pet? A>First you need to open your inventory, left click the pet food then right click to the pet. Q>How am i gonna check my Pet’s Health info? A>Right Click the desired pet outside the campus, then press L, Voila you can now check your Pet’s Health Info. Q>is it ok if i use two skill at a time? A>the answer is No, you can choose only one learned skill at a time. Q>Can i use two different pet at the same time? A>No, you can only use one pet at a time. Q>How long does it take for a 100% pets health reaches 0%? A>Approximately, it`ll take 4 hours for it to be cosumed while doing some level, just always remember that, pets health is deducted upon using it. Hoping that i help you with this little information about pets, specially those newbie to this game. where i can buy pet food? is there a possibility the a pet can used dual skill and can alternate the 3 learned skills in dual skill scroll at the same time?